Florida International University (FIU) is seeking a business partner to develop and commercialize novel Morphing Origami Multi-functional and Reconfigurable Antennas. Antennas that can cover multiple frequency bands and serve different purposes are highly beneficial for wireless communication systems. When applied to satellite communications systems, antennas with a light weight, compact volume, high durability, and high directionality are the preferred configuration. 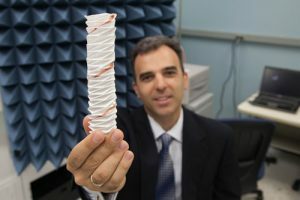 Additionally, the foldable property of origami structures offers a solution to the limitations associated with the storage and transportation of antennas. A multi-functional antenna can morph in order to change geometrical shape and thereby change its antenna radiation characteristics. Such characteristics can include. e.g., radiation pattern, bandwidth, beamwidth, and directivity. The antenna can therefore be multifunctional such that one single antenna can serve multiple applications and/or have multiple operating frequencies. 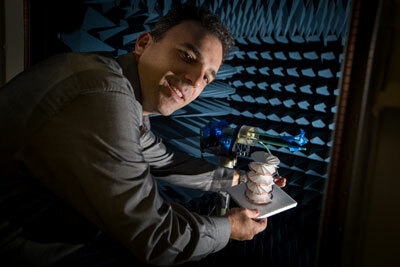 Origami reconfigurable antennas can reduce payload costs while decreasing volume. The design is based on the Nojima origami structure that has been utilized in the past to establish low-cost deployable aerospace structures. Additionally, it allows for versatility as varying kinds of Nojima wrapping models can be developed by utilizing different central hub shapes and creating different angles between segments. Commercial communication (telephone, television, internet). Military use in tactical antennas, field antennas, and other portable antennas. Antenna can change from dipole to conical spiral. Performance can be changed from omnidirectional to directional. Performance can be changed from narrow band to broadband. Allows compact storage of a large dipole in a cylindrical space. Allows deployment of a conical spiral from a flat dipole design and vice versa. Antenna also operates in geometrical states between two extreme states (dipole in unfolded and conical spiral in folded state) to reconfigure its performance such as gain, radiation pattern, operating frequency, bandwidth, return loss, beamwidth etc. Call Shantanu Balkundi at 305-348-8061 or fill out the quick contact form below. 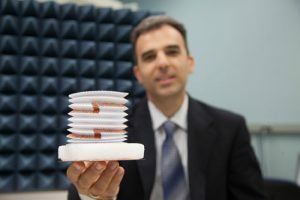 FIU’s ElectroMagnetics Lab (EMLab), led by Dr. Stavros V. Georgakopoulos, explores the development of breakthrough electromagnetic technologies for medical applications, sensing and communications.